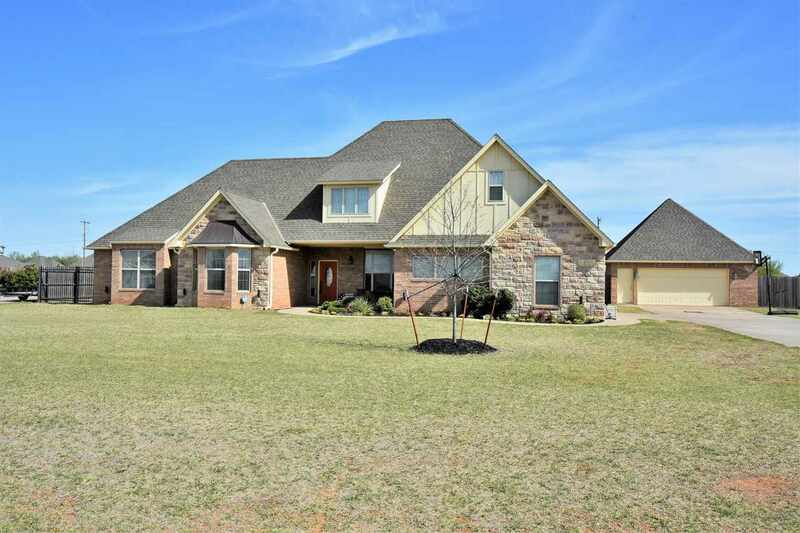 This lovely home has a lot to offer! This approx. 3200 sq. ft., 4 bedroom, 3 bath home is located in Smallwood Acres in Elgin School District. Nice open floor plan with formal dining room with built-in china cabinet with glass fronts and granite top. Main living area has bamboo wood flooring, cathedral ceiling, and lots of windows for natural light. The second living area has bamboo wood flooring, custom shelving, wood burning fireplace, and cathedral ceiling with metal ceiling. 3 guest bedrooms are nice sized and share 2 full baths. Coat closet, and linen storage times 2 in guest hallway. The large eat-in kitchen features, granite, custom built maple cabinetry, stainless appliances, island, breakfast bar, and built-in pantry storage. Cabinet has pullouts for storing 2 trash cans, a Lazy Susan, and lower cabinets have pullout shelving. The U shaped office area is a great space for a home office. It has cabinetry for storage and granite counter top. The utility room has a locker area to store shoes and coats plus a sink, hanging space, and storage. The master retreat has bamboo wood flooring, bay windows for lots of natural light, and his and her closets. The bath has his and her sinks, Jacuzzi tub, and a walk-in shower. Upstairs is the roomy bonus room and multiple access points to attic storage. Outside there is a large 1 acre lot with a wood privacy fence with steel posts. 26&apos; x 27&apos; detached brick garage that matches the home and is oversized with concrete floor and electricity with overhead door, walk-thru door, and steel shelves. This space is great for extra vehicles or toys. The yard and landscaping is established and seller has maintained the septic service agreement. In addition to all this, the home is wired for security, has a water softener that is owned, has blinds thru-out, and riding mower may stay with accepted offer.